When it comes to cleaning carpets, the maxim that one size (method) fits all definitely doesn’t apply. Carpets are made from a variety of materials and the cleaning method and products used will vary according to the materials. 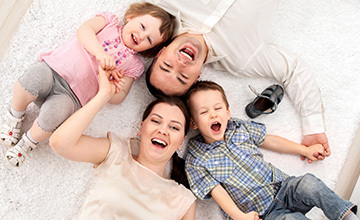 Engaging a professional carpet cleaner is your best bet in achieving the result you want. But choose wisely. Here are some questions to ask beforehand. How much experience have you had in the business of carpet cleaning Adelaide? Where can I see the testimonials from your customers? Do you a policy about using green materials? Are you a member of a carpet cleaning association? What Type Of Carpet Do You Have? This is the first question to be answered. A carpet made from wool is not the same as one made from nylon. And then a carpet from polypropylene is different again. There are many types of materials used in the making of carpets. Would you believe one material used is almost 40% natural corn sugar? People buy carpet according to different needs. Is it for a kids’ room with heaps of wear and tear? Is it for a holiday house? Is it for your best living room and needs to compliment your expensive furnishings and furniture? What is your budget? But not only do you need the right type of carpet for your setting, you need the right type of cleaning method. A well cared for carpet is like many other parts of your home. Care for it, clean it the right way and the life of your carpet is extended. Obviously parts of your carpet will be used more than others. This is where the professional cleaner understands the needs of your floor coverings. They will vary their cleaning technique. So too with stains. Again knowing the material in the stain is helpful and having a quality carpet cleaner who knows how to remove all manner of stains is the key to a successful clean. It should come as no surprise that science is an important factor in today’s carpet cleaning. New equipment, especially on an industrial scale, is constantly evolving. Using cleaning materials which are kind to the environment is now a fundamental part of any professional carpet cleaner. As the customer, you should always ask the carpet cleaner whatever concerns you about your carpets. Getting tips to help you remove a stain as soon as it happens is a real bonus. 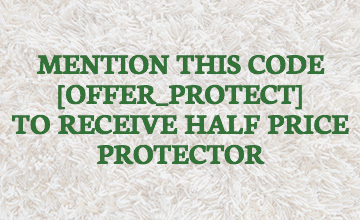 You want to tackle an accident on the rug or carpet as soon a possible. Your professional cleaner can recommend various products and the method and steps you should take. It’s a joint effort. You keep an eye on things every day. Your professional carpet cleaner arrives on a regular basis to provide that deep clean that only a professional can do.